The most prominent corporate figures would probably prefer an airport limo car service, as they can relax ahead of their long flight. In addition, you do not have to waste any resources by sending someone who will get stuck in traffic and lose half a day of work. Similarly, if you are traveling on vacation or whether you are taking the family to a sunny destination, the worries of parking your vehicle at the airport or renting something to get you there and back is quite painful. 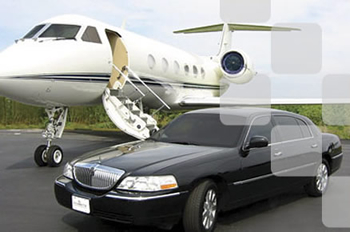 Instead, Toronto Airport Limousines can have a car service with a driver at your doorstep, and they will conduct you and your family to the airport on time. Another reason we can present to you is the convenience of picking up or dropping off an incoming visitor, relative or friend. When you have a visitor, booking a half-day or full day off work is just wasteful, especially during rush hour traffic or bad weather. Rather, think about Toronto Airport Limousines and how their services can turn your day into a more convenient use of your time. There are enough reasons to hire a professional airport limousine rental car service, but rather it is for the elements that you may not consider which may hinder your efforts and end up causing anguish and anxiety in getting to and from the airport. Give us a call, and we can put you in the driver seat without all the worries of paying attention to the road.